A while ago I started a new series here on Born to Buy, My Make Up Collection. I decided that I'd share a part of my make up collection with you each week until, well, you've seen it all. This series is not about reviewing products because that would take forever but I'll be sure to link reviews if they've been written. 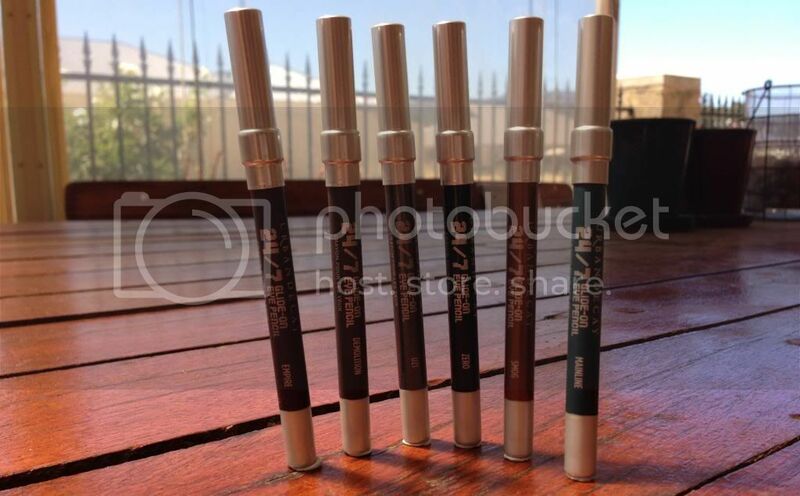 I bought these eyeliners from Beauty Bay on Black Friday, getting them at a bargain price. As a collective, the Urban Decay 24/7 Glide-On Eye Pencil have impressed me so much. Before you judge me, the green liners were bought for a costume party. I don't just 'go around' with bright green eyeliner on. I was taking these photos outside, as I'm sure you can tell, so the Bare Minerals Round The Clock Waterproof Eyeliner in 4pm broke off at the tip as I was swatching it. Sadface. 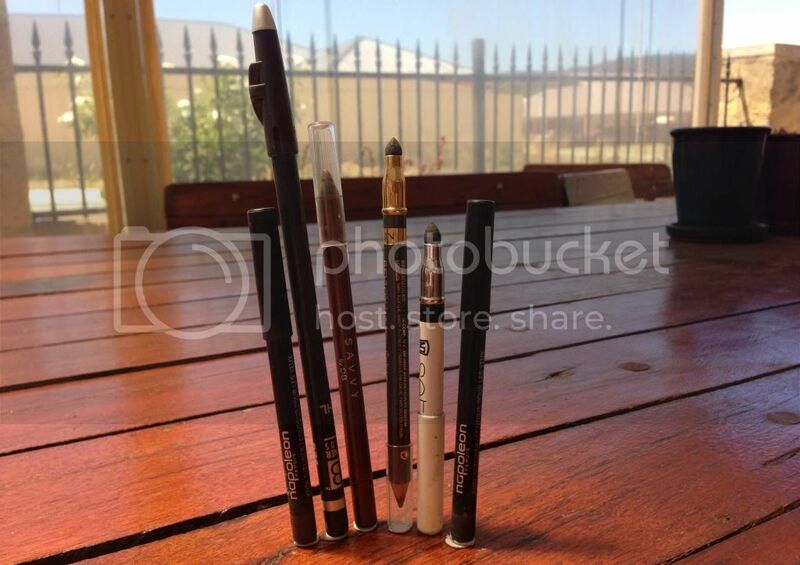 Three of the eyeliners above (Designer Brands Kohl in Charcoal, NP Set Eyeliner in Paris and Napoleon Perdis Khol Eyeliner in Charcoal) are all very black, especially the NP Set one, however the photo doesn't indicate that. Sorry. I couldn't get a better pic! 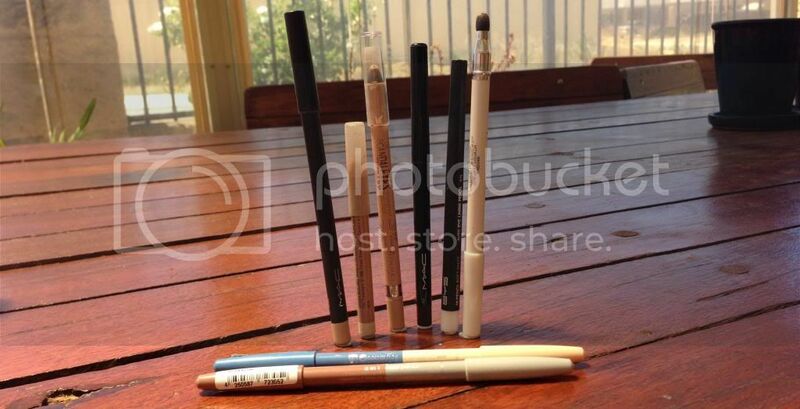 As I'm sure you can tell, a lot of these eyeliners are highlighting ones that are perfect for the waterline. 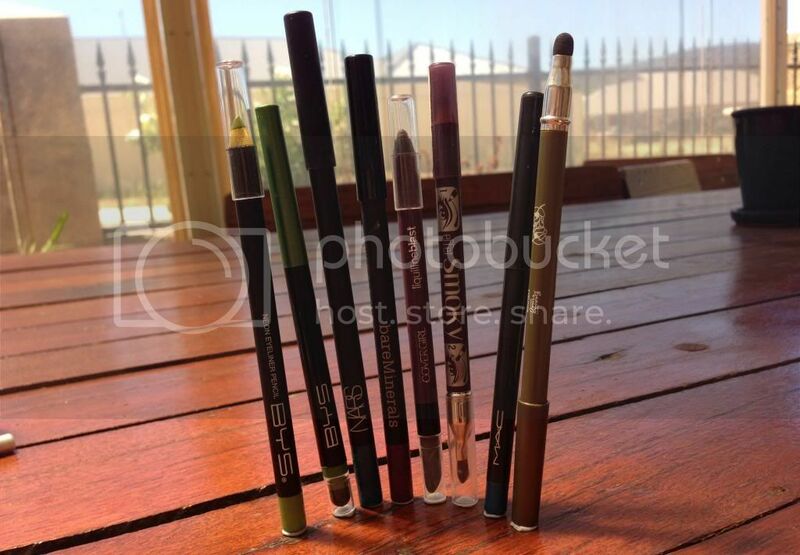 For a more in depth post on these eyeliners, click here to view my highlighting eyeliner post. I don't own many gel/potted eyeliners, purely because I'm not super confident at applying them. I do want to pick up and Essence Gel Liner, however. I'm loving my MAC Fluidline, however, so I'm thinking of picking up Blacktrack. I've only reviews a couple of the products featured above but, as I said, I've added links to those I have. If you would like to see a review of a product that hasn't been linked, please comment below. I'd be happy to add it to my list of products to review! Have you tried any of these eyeliners? What did you think of them? Not that I need to buy any more eyeliners, but do you use any you'd recommend, especially gel eyeliner? * - Indicates products that were provided for review. These products have remained in my collection, meaning that I have not yet posted about them or I genuinely like them or both. You NEED Sleek dip-it eyeliner in your life! It has officially become my HG eyeliner. I've tried the MAC blacktrack eyeliner and didn't really think much of it. 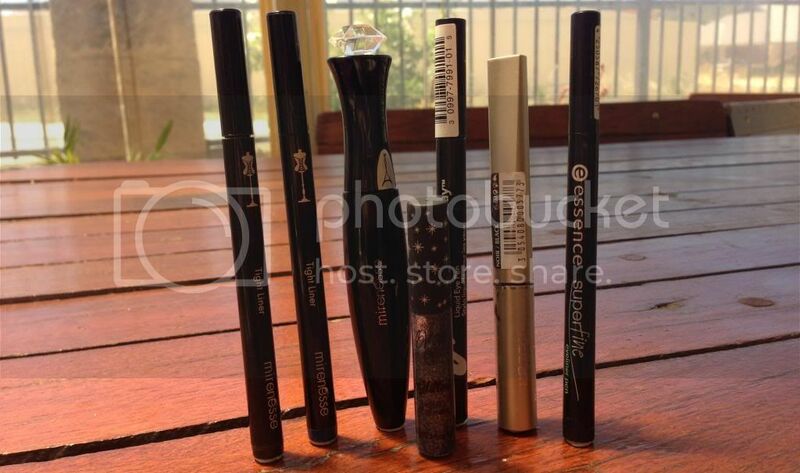 Much prefer liquid eyeliners as they are usually extremely pigmented, easy to use (i.e. not having to keep washing the stupid brush like I do for powders and gels), and you won't have to worry about it drying out much (like gels).